DJT Building and Landscaping Contractors is a small, family run business with a great deal of expertise in both building and landscaping work. The company is run by experienced builder John Tyler who oversees every item of work that the company carry out in order to ensure quality. 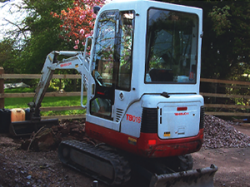 We have enjoyed over 10 years of success since setting up DJT Building and Landscaping Contractors. Our team has established a reputation within the industry for delivering outstanding quality with the personal touch that only a local business can offer. To make sure that all customers are confident and happy when selecting the services of a local builder we will ALWAYS give detailed estimates, free of charge and without obligation. There are also guarantees available on all work carried out as part of the project. Registered with the Federation of Master Builders, Trustmark and Masterbond. If you would like to know more about our services, please contact us today. To discuss your requirements in more detail please call on 01630 647801 and speak to John or Sue. 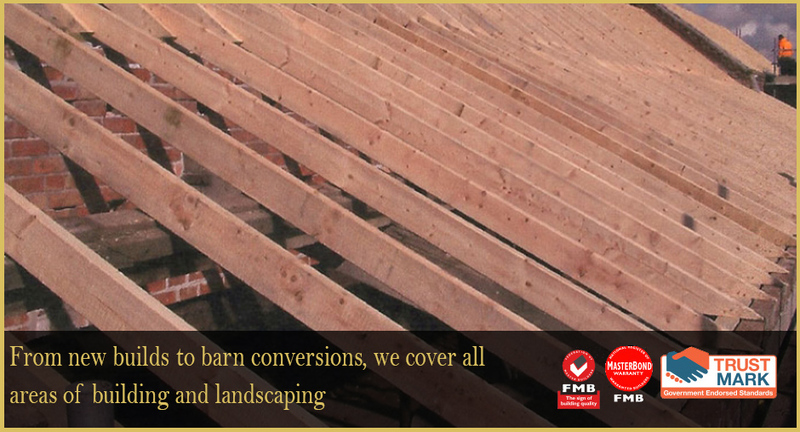 We are always available and look forward to being able to help with your building project. "Both Linda and I would just like to thank you again, and the two Daves, for all the hard work you put into building this for us. We are also very pleased and thank you for the attention you have given us post build on the little bits of snagging that always come up. It was a real pleasure to have you working again for us - now we just need to think up another project for you?"